There are a range of hotel options offering discounted prices, in close proximity and further afield from the venue. We have arranged a special deal with the Metropolitan Hotel which is located pretty close to our premises. 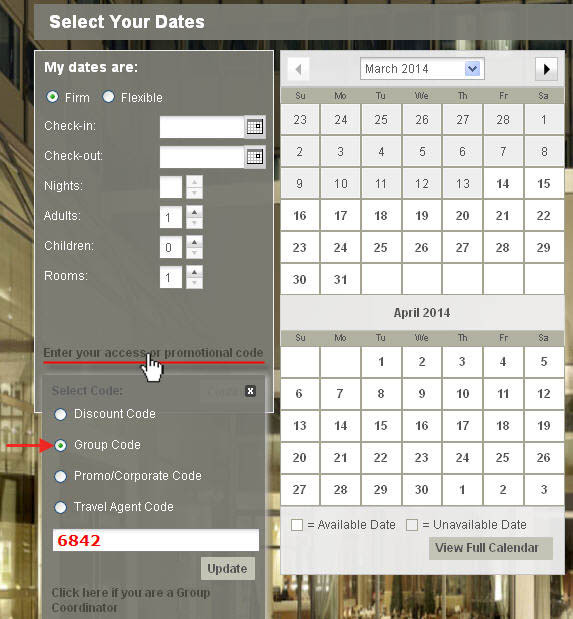 Book online your accommodation in Metropolitan Hotel by clicking here. If you are travelling from Patras to Athens then CLICK HERE for the best driving route. If you are travelling from International Athens Airport El.Venizelos to N.O.T.K. For a route with tolls CLICK HERE. For a route without tolls CLICK HERE. Ferry transportation from Italy to Greece & v.v. 1. The reduction is valid only on the NET fares for passengers and vehicles (not valid on the fuel surcharge which is â‚¬15 per passenger per way and per vehicle per way for Ancona route & â‚¬5 per passenger per way and per vehicle per way for Bari route). 2. The reduction is not valid for the transportation of commercial (cargo) vehicles. 3. The reduction is not cumulative with the offers / reductions included in the official brochure (Early Booking, family offer, youth reduction, etc.) Only one reduction (the greater) is granted at a time. 4. Reduction does not apply to unaccompanied vehicles. Ancona route: Head Office Call Center (Tel. 210 89 19 700, fax: 210 89 19 709, e-mail: callcenter@attica-group.com). Bari route: Head Office Call Center (Tel. 210 89 19 130, fax: 210 89 19 139, e-mail: callcenter@superfast.com). 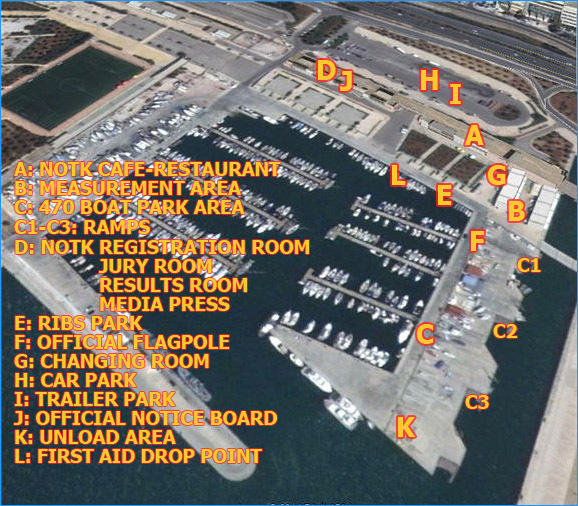 NOTK is located at the Marina Delta Falirou, in the Faliron Pavilion (used as the Olympic Tae-Kwon-Do gym) and near to the Faliron Beach Volleyball Centre. These facilities formed the Faliron Olympic Coastal Zone Complex for the 2004 Olympics. 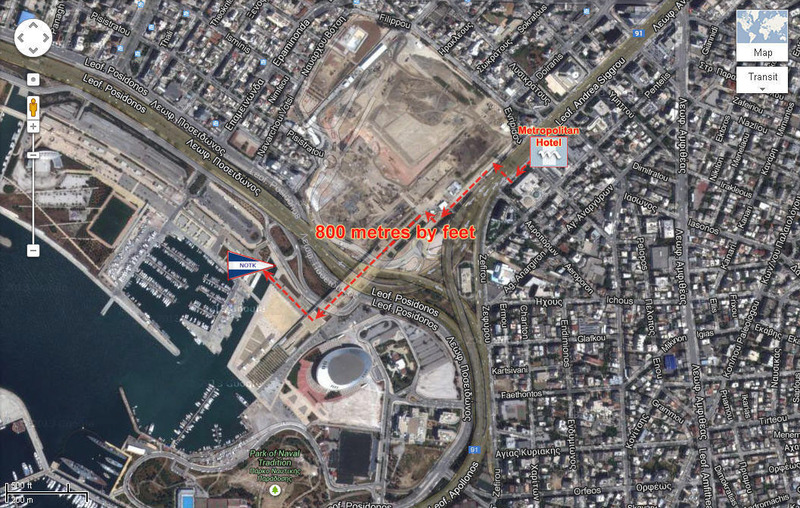 The Complex sits between the Peace and Friendship Stadium ("SEF"), near Piraeus (Pireas) to the west and Paleo Faliro, eastwards toward Athens Airport (www.aia.gr). All are linked by Poseidonos Avenue (Leoforos Posidonos), the main coastal highway. The Tzitzifies, Delta Falirou stop of the tram is just outside the complex. The Tram network connects the centre of Athens, through Nea Smyrni with Paleo Faliro and from there it branches out along the coastal avenue to Alimos, Helliniko, Glyfada and Voula on one end and to the Faliriko Delta, Neo Faliro and the Peace & Friendship Stadium on the other end - More info: www.tramsa.gr.